It doesn't get much more traditional American dining than Boston Brown Bread. 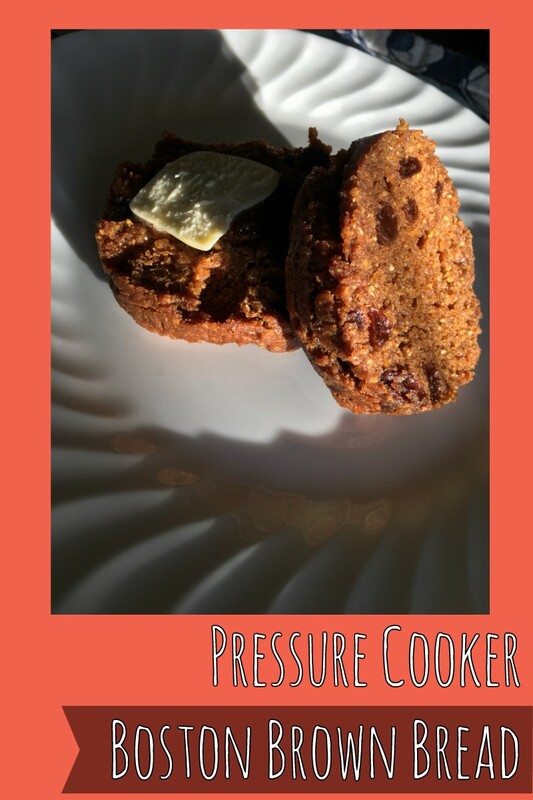 Steamed Brown Bread or Boston Brown Bread is a dense, molassesy bread that's traditionally steamed for three hours in a repurposed food can. We created this Pressure Cooker Brown Bread recipe to cook in about an hour in an electric pressure cooker (Instant Pot). Given all the warnings about BPA in the lining of canned food, we also switched to a mason jar for the cooking. scoot up the jar. Kind of wild. Remove the jars with tongs or oven mitt (unless you have fingers of steel) and the bread should slide right out when inverted. Cut slices, slather in butter, and enjoy!